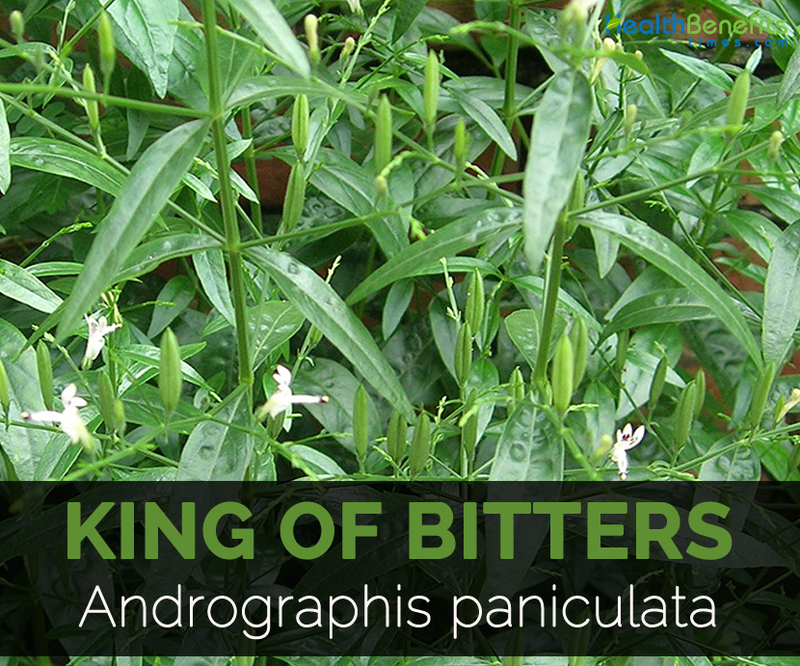 Andrographis paniculata, commonly known as Creat, Nilavembu, Green chireta, Chuan Xin Lian, Kirayat, King of Bitters, kalmegh, India echinacea, sambiloto, kiryat, is a small herbaceous and evergreen plant of the family Acanthaceae or subfamily Acanthoideae and is native to Sri Lanka and India. 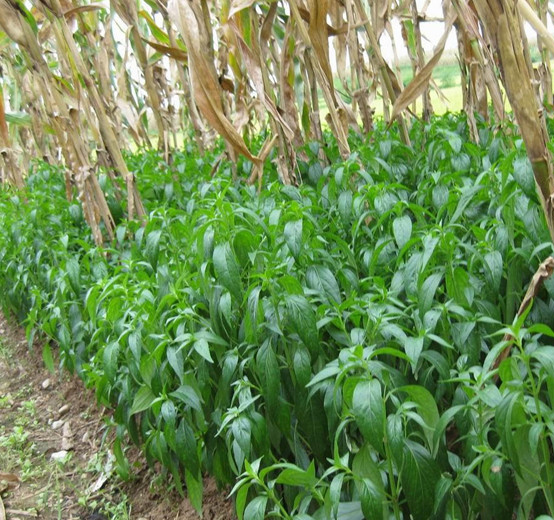 The plant is about 30-100 cm (12-43 inches) in height. It is also used in traditional medicine. The study shows that this plant helps to counteract the diseases such as infections, cancer, heart attacks, blood clots, diabetes, herpes, cold, gall bladder ailments, flu and fever. It also helps to prevent the allergies. It is sophisticated in Southeastern and Southern Asia. Traditionally, it is used as a treatment for diseases and infections. The roots and leaves are used for the medicinal uses. For the centuries, King of Bitters is used in India, Thailand, China and Asian countries. It is used to eliminate toxins and fevers. Kan Jang is an immunostimulant preparation that contains Kalmegh as well as eleutherococcus that was used for 20 years in Scandinavian countries. In United States, Kalmegh was marketed as well as manufactured. 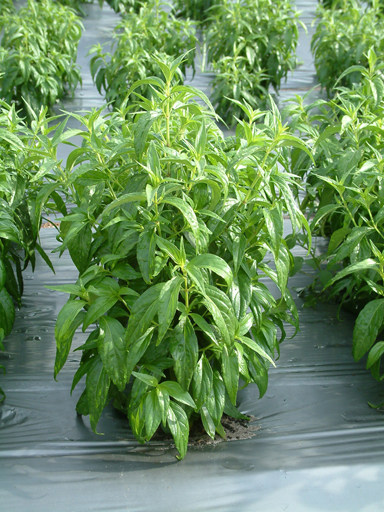 It is an annual, herbaceous, evergreen, deciduous plant which grows upto the height of 30-100 cm (12-43 inches). Leaves simple, opposite, egg shaped, lance shaped upto 8 cm (3.1 inch) long by 2.5 cm (0.98 inch). 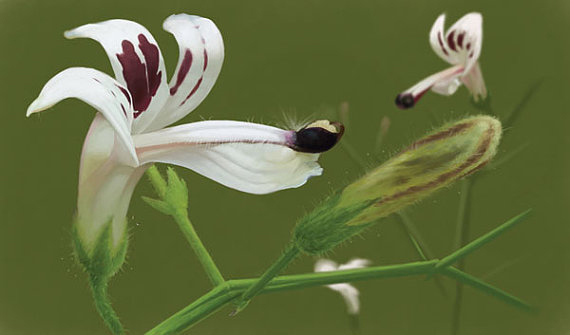 The white flowers turn into a capsule which is 2 cm (0.79 inch) long and few millimeters wide. The slender stems are dark green. The fruit bears yellow to brown seeds. 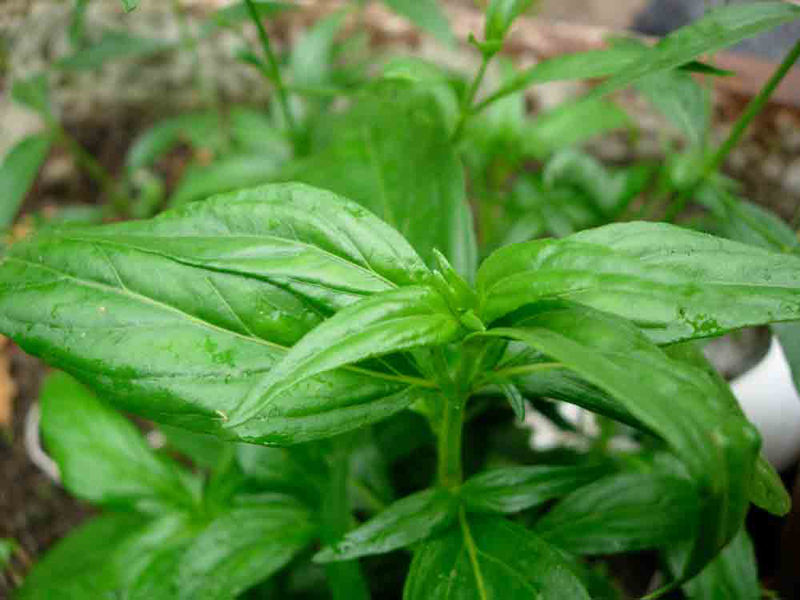 The herb is used historically to treat common cold, infections, flu and various diseases. It treats various ailments and diseases such as diarrhea, cholera, dysentery, swollen lymph nodes, pneumonia, leprosy, sore throats, bronchitis, tuberculosis, coughs, chicken pox, headaches, inflammation, ear infection, mumps and burns. 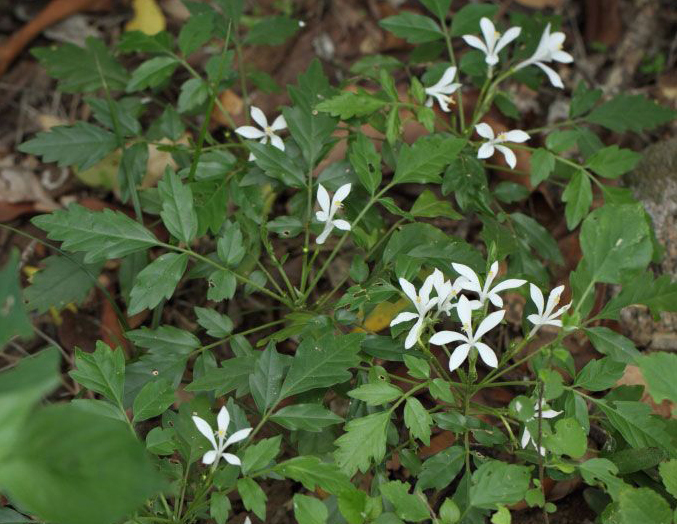 This plant is bitter and possesses immunity enhancing properties that stimulates the immune system of the body. The researchers made by Japanese shows that it also prevents the multiplication of the cancer cells. The studies made in China helps to prevent the formation of blood clot. It is an effective treatment of heart attack and atherosclerosis. It has antioxidant properties which help to regulate diabetes by lowering the content of blood sugar. It is used in folk medicine for the treatment of digestive, urinary systems and cardiovascular problems. It is used since ancient times in tribal medicine of India. The plant of King of Bitters possesses febrifuge, alternative, tonic, stomachic, cholagogue and anthelmintic properties. It treats the liver complaints, constipation, colic, cholera, diarrhea, dysentery, dyspepsia, diabetes, general debility, hyper acidity, hookworm infestation, bronchitis, influenza, piles, malaria, swellings, gonorrhea, itches, scabies, stomachache and stomach disorders. It is an aid for jaundice and torpid liver. It is a cure for poisons of snake venom. The infusion of leaves provides relief from griping, loss of appetite and irregular bowels. It helps to cure the respiratory infections such as sinusitis and common cold. It treats influenza, bronchitis, fever and tonsillitis. Traditionally, it was used to improve immune function, urinary infections and acute diarrhea. It helps to enhance immunity and used to purify the blood purifier. It is also used to treat cholera and leprosy. It is the treatment for skin infection, boils, scabies and patches. 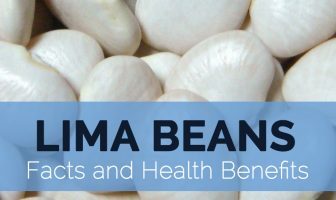 The leaf extract helps to eliminate the stomach worms. It treats the scorpion and snake bite. The pregnant and breast feeding women should not use King of Bitters. It might increase the auto-immune disease symptoms. King of Bitters might slow down the clotting of blood. This increases the chances of bleeding. It lowers the blood pressure. So it is not safe for the patients of low blood pressure. It should not be used by the patients with gallbladder, kidney, cardiac, high blood pressure patients. It could worsen the ulcers or lead to heartburn. It could result to rashes or lose motions. In such cases, one should discontinue its use. 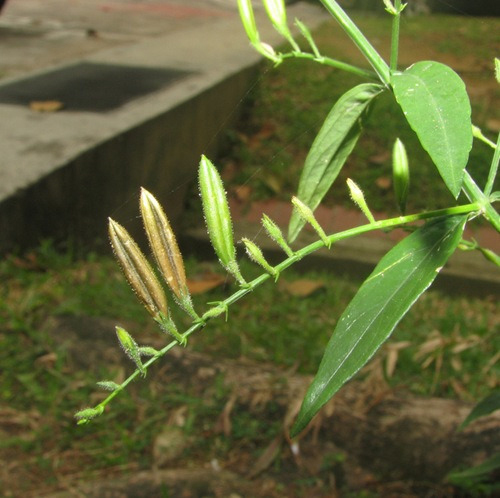 Andrographis subspathulata C. B. Cl. Justicia latebrosa Russ. ex Wall. Justicia stricta Lam. ex Steud.